The Community Music School of Webster University is one of 18 venues participating in the first Make Music Day St. Louis on June 21, presenting the After Hours Community Band in concert at 8 p.m. in the CMS Concert Hall. 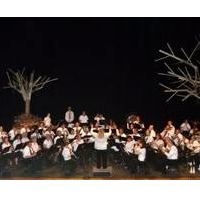 Join for summer fun with concert band music from the traditional to marches, musicals, jazz and patriotic. Make Music Day St. Louis is a city-wide celebration of music on the summer solstice. All concerts and events are free and open to everyone. This music festival first began in 1982 in France as the Fête de la Musique, and is now held on the same day in more than 700 cities in 120 countries around the world. In 2016, Make Music Day is coming to St. Louis. For more information and a full list of participating venues and artists visit:makemusicstl.org. For more about the After Hours Community Band visit: www.ahcb.org. Parking is available in the parking garage located on Garden Ave. across the street from the CMS Center. Founded in 1925, CMS offers outstanding music education and performance opportunities to students of all ages and abilities and serves the entire St. Louis metropolitan region. Classes are available in University City, at Faust Park in West County, and at CMS headquarters located on the Webster University campus in Webster Groves. For more information call 314-968-5939. The Community Music School of Webster University is accredited by the National Association of Schools of Music and is a certified member of the National Guild of Community Schools of the Arts. The Community Music School receives assistance from the Arts and Education Council of Greater St. Louis and the Regional Arts Commission. The Preparatory Program is supported in part by an award from the National Endowment for the Arts.